X20 HELP PAGE. Link to booking. C6 HELP PAGE. Link to booking. 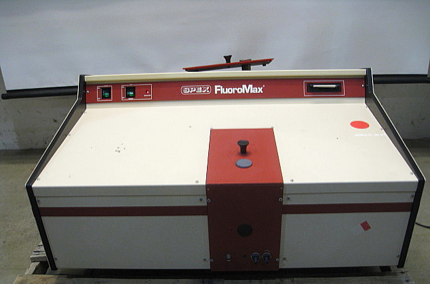 3 lasers, 17 colors with a High-Throughput System – Please note the HTS has been removed. Use the X20 if needed. LSRII HELP PAGE. Link to booking. 5 lasers, 15 colors, 4 way sorting on plates, slides or tubes (acquisition for the Bichat site with grants obtained from the CODDIM, INSERM and the Université Denis Diderot). ARIAIII HELP PAGE. Link to booking. 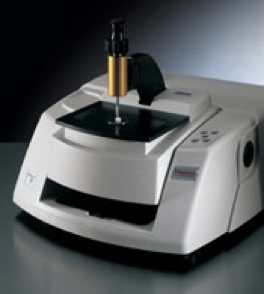 These devices allow to perform analytical flow cytometry on vascular or hematopoeitic cells or microparticles. 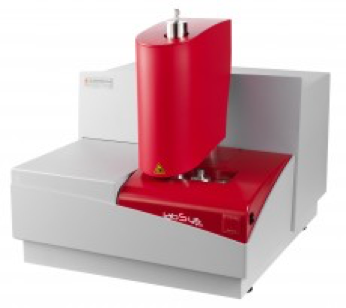 We have an extended expertise for multiplexed measurements of analytes with cytometric bead arrays (CBA, Luminex, eBiosciences and customized beads). The new cell sorter provides us with phenotypically pure cell preparations for further cell cultures or molecular biology. Currently, we do not have a dedicated core lab engineer and our strategy is to promote internal trainings of our users (2 training sessions per year are organized by A Nicoletti). We now have a consistent number of skilled users that can in turn train the beginners. Our Research Unit has its own animal facility and experimentation rooms (Table below for description). We host and breed a high number of mouse strains, rats and rabbits. We are at the beginning of upgrading the animal facility. Mice are now bred in individually ventilated caging systems (Allentown) that has allowed to both increase the density of housing (150 -> 305 cages) and to warrant an improved health status (we have acquired an animal transfer station and a bedding disposal station). We have implemented a computerized management system of our breedings that will be extended to all animals housed in our core facility. In addition, our animal core facility comprises 3 labs equipped with surgical microscopes and anesthesia stands. One room is dedicated to experimental X-ray experiments. During the next mandate, we wish to deeply re-organize our animal department to increase its surface, to consolidate all breedings and experimentation labs in the same protected area. We are currently negotiating with the Hospital administration and Inserm to obtain the required space. L’appareil de mesure d’impédance cellulaire xCELLigence est installé dans la salle de culture cellulaire 4ème étage gauche. Celui-ci est dans l’étuve haute à côté de la chambre d’hypoxie. Il est équipé de 3 modules qui peuvent fonctionner indépendamment. Son utilisation est soumise à réservation via le Booking system. Les personnes souhaitant utiliser ce système sont priées de se rapprocher de Jamila. Lien vers le site du producteur (plusieurs protocoles sont disponibles pour l’analyse de l’adhérence et de la prolifération cellulaire, la migration cellulaire, des études de signalisation,…). La lampe Xénon Flash couvre toute la gamme de longueur d’onde de 230 nm à 1000nm (spectres d’absorbance et fluorescence). L’INFINITE M200 permet de travailler sur des plaques de 6, 12, 24, 48, 96 et 384 puits mais aussi sur des supports tels que lames de verre, boites de Pétri, support « fait maison » etc…. – Le module d’absorbance couvre le domaine UV/VIS de longueur d’ondes de 230 à 1000 nm. 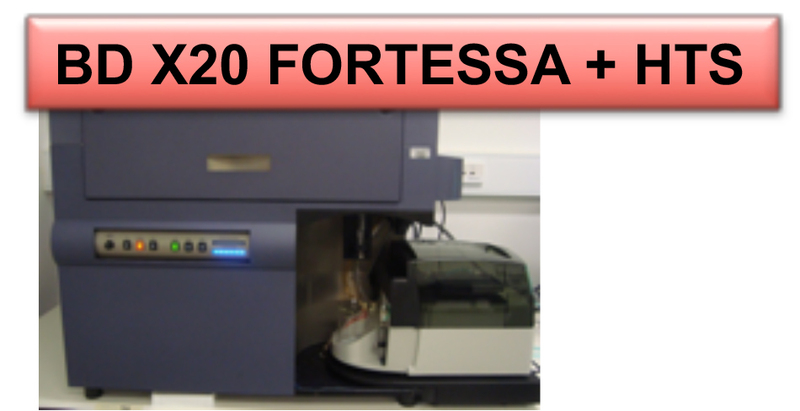 – Le module de fluorescence permet de faire des mesures (Excitation 230-850 nm, Emission 250-850 nm), en Fluorescence « classique » mais également en TRF, FRET, TR-FRET. – Le module de luminescence permet des mesures en luminescence Flash, Glow, DLR. L’appareil est installé au 3ème étage pièce du bout à droite. Les personnes souhaitant utiliser ce système sont priées de se rapprocher de Soumaya. 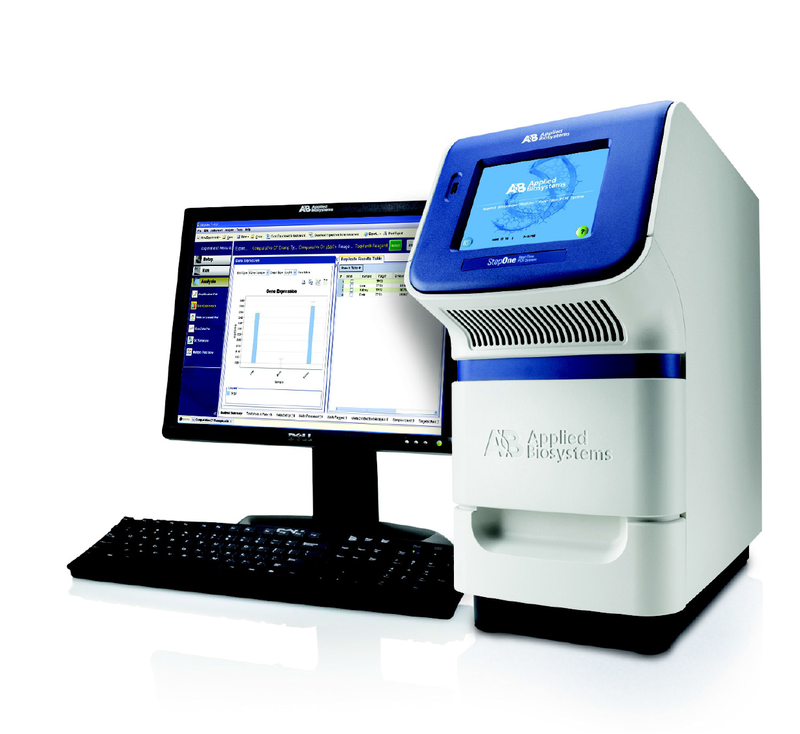 Our unit has invested in technologies allowing characterizing human and mouse platelet functions. Bioengineery: analysis of the biocompatibility, hemostatic toxicity of polymers and devices; development of new tracers. • Platelet phenotype: analysis of the characteristics platelet receptors by flow cytomery (see above), immunoblot and immunoprecipitation. • Shear-induced platelet activation: “Couette” devices Hematology laboratory Hospital. The principle is to submit platelets to increasing shear rates in order to reproduce the conditions of a stenosed vessel. Platelet activation is measured as the disappearance of individual platelets. • In vitro thrombosis: The laboratory has the possibility to analyze the capacity of platelets to form thrombi in whole blood, platelets being labeled with a fluorescent probe (DiOC6 or rhodamine). 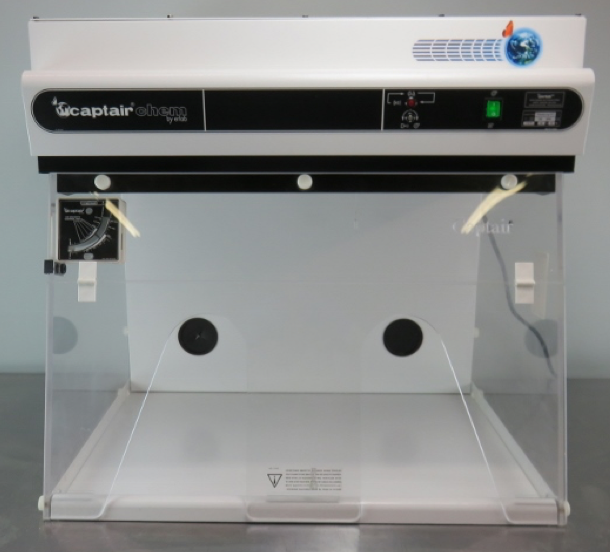 Two different kinds of parallel plate flow chambers are available: the classical Maastricht chamber and more recently small volume dispensable chambers from Cellix (Dublin, Ireland) either coated with purified proteins or covered by an endothelial cell monolayer. • Platelet adhesion is monitored in real time using fluorescence microscopy with a monochromator epifluorescence illumination system (DMRIB Leica) and a DP30W camera (Olympus). In vivo thrombosis is studied using the ferric chloride model platelets being labeled in vivo by the injection of rhodamine 6G. Arterioles and venules are visualized with an inverted epifluorescent microscope (×10) (Nikon Eclipse TE2000-U), coupled to Metamorph7.0r1 software (Universal Imaging Corporation). Platelet deposition and thrombus growth in arterioles and venules are monitored in real-time until complete occlusion occurred. The analyzed parameters are the vessel occlusion time and the surface and volume of platelet aggregates. Microscopy platform used to analyze in vitro thrombosis in flow chambers and in vivo thrombosis. In vivo fibrinolysis. A new and original method to study fibrinolysis in vivo has been developed in which ferric chloride thrombosis is triggered on vessels exposed on a dorsal skinfold chamber. These methods allow studying clot lysis and its pharmacological regulation by intravital microscopy on animals maintained alive. 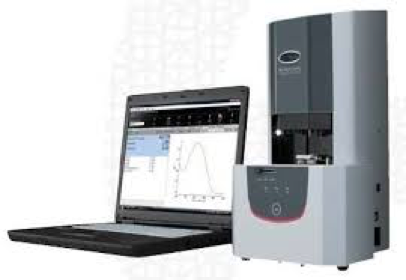 Biomarkers of interest are identified by advanced mass spectrometry (MALDI MS-MS, Orbitrap…) in collaboration with the Institut Jacques Monod (IFR02 Claude Bernard). MALDI Imaging is available in collaboration with Pr Bedossa laboratory. 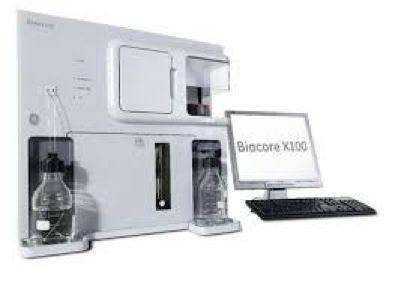 For assessment of interactions, label-free system using surface plasmon resonance (Biacore X100, GE Healthcare) is available (own equipment), with a specialized engineer (O H). Finally, we have a full access to a peptide synthesizer than can be used to produce antibodies against peptides of interest or for testing potential therapeutic peptides in vivo (M Lecouvey, Paris XIII University, co-funding). For 2DE and SELDI-TOF MS, Olivier Meilhac’s group provides the technical and scientific environment for projects that involve proteomics. Histology facility is composed of 3 separated areas: embedding and sectioning lab, immunostaining (fluorescence and brightfield) lab equipped with fume hoods for classical histological staining and a room for image capture and analysis. 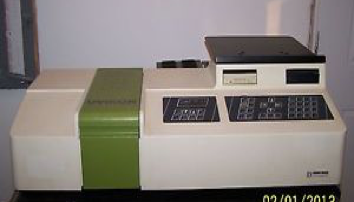 Both tissue sections (for brightfield, fluorescence and electron microscopy observation) and cytological analysis (cells grown on slides or cytospun- Rotina 380 centrifuge) are possible within the Research Unit. Our Research Unit has established a CV biobank collecting a large range of samples (blood, tissue, cells) from the different forms of human CV diseases, including atherothrombotic and non-atherothrombotic diseases. This biobank allows us to test similarities and differences among these pathological conditions. The specific contribution of the major risk factors and now peri-odontal diseases, are addressed. The samples are accessible to a large panel of internal and external collaborations. Some of these collections are associated with clinical databases. Carotid artery diseases (1000 samples), which offer opportunities both to collect plasma and serum before surgery, and diseased tissues during surgery (carotid endarterectomy) and due to their anatomic accessibility, to easily develop specific imaging approaches (carotid database). Preparation, performance and use of these collections integrate numerous translational innovative methods including informatic management, preparation of DNA, RNA, and chromatin, proteome secretion and extraction, at both tissue and cell levels, permitting downstream genetic and epigenetic analyses. These CV collections are hosted in the CV BRC of the Inserm building. These CV biobanking activities are integrated in the national Biobank network (Biobank Infrastructure), which are partners of EU BBMRI (www.bbmri.eu). The BBMRI French node is harboured by INSERM. • Quantitative autoradiography device : Beta IMAGER™ 3374, Biopace Lab, for quantitative autoradiography of tissue sections (50micrometer resolution). 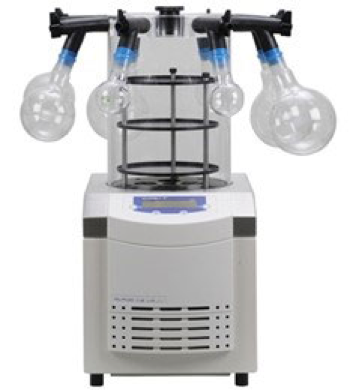 ¬ The determination of polymer properties : fusion & crystallization events, glass transition, chemical functions, composition, absolute molar mass, refractive index, dn/dc values, contact angle, viscosity, etc… can be achieved with Differential Scanning Calorimetry (DSC), Fournier Transform Infra Red (FT-IR), UV and fluorescent spectrometers, Nuclear Magnetic Resonance 400 & 500 MHz (NMR-share equipment P13), MultiAngle Laser Light Scattering (MALLS – collaboration), Refractometer, Contact angle goniometer, Rheometer. ¬ The determination of colloidal properties : second virial coefficient, translational diffusion coefficient, radius of gyration, hydrodynamic radius, polydispersity, surface charge, shape, two-dimensional image, visualization, etc… are achieved with MALLS, Dynamic Light Scattering (DLS), Laser Doppler Velocymetry, Atomic force Microscopy (AFM- share equipment P13), Field-Emission Gun Transmission Electron Microscope (FEG-TEM- share equipment P13), Scanning electron Microscopy (SEM – share equipment P13). We have 2 NAS or Network Attached Storage: one principal and a second backup one. The purpose of NAS is to store and centralize data storage for local networks. The act of file serving allows for computer data to be stored on the NAS and to be easily accessible from any where within the local network. This allows for computer data to be quickly disseminated amongst its users and to share data between various computers of the lab. This NAS is accessible only from the lab and from the university building of Bichat. As such, it is not accessible from the hospital but we may ask for specific needs. It is possible to connect from outside (from home for instance) through VPN secured tunnel connections. This requires a specific registration through the INSERM IT service (ask Tony for the exact procedure). This is the RS2212+ from Synology (www.synology.com). Synology® RackStation RS2212+/RS2212RP+ offers a high-performance, scalable, and full-featured network attached storage solution that meets the needs of business that requires an efficient way to centralize data protection, simplify data management, and rapidly scale storage capacity with minimal time spent on setup and management. For the time being, the capacity of our two NAS is 96 Teraoctets (96 000 Gb). It can support that one of the hard drives fail without compromising the integrity of the data. The main NAS is backup every night to a secondary NAS. • While the NAS is secured with redundant hard-drives, we cannot be certain that it will never fail, be damaged or stolen. Backup your key data on another support. • The capacity is large but this should not prevent you from cleaning your respective working spaces. • The password to access the NAS has been provided to your Team leader that will provide it to you upon request. • Team-specific storage spaces are shared by all members of the Team. This means that all members from a given team have full access — write | read | erase — to the data of the other members of the team. • The ‘Commun’ working space is not a garbage storage space. Please keep it clean. Available for analysis over a wide wavelength range of 190 to 1,100 nm, stray light of less than 0.04% and a spectral bandwidth of 1.5 nm. 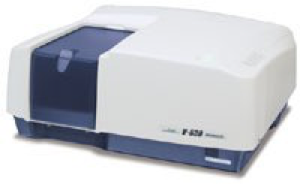 The Nicolet 380 FT-IR spectrometer is available for analysis in the mid- IR regions. A real diamond ATR accessory can be easily installed. 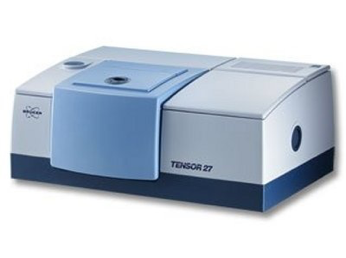 The Bruker Tensor 27 has several accessories that allow for a variety of sample measurements. Solids and liquids can be measure. 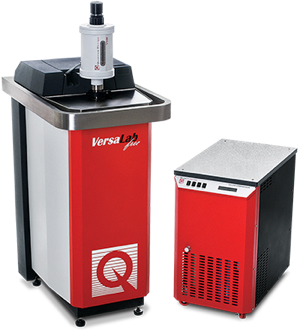 With a temperature range of 50 – 400K, this 3 tesla platform is perfect for accomplishing many types of materials characterization in a limited space. TGA, and Simultaneous TGA-DTA, TGA-DSC from ambient to 1600°C. 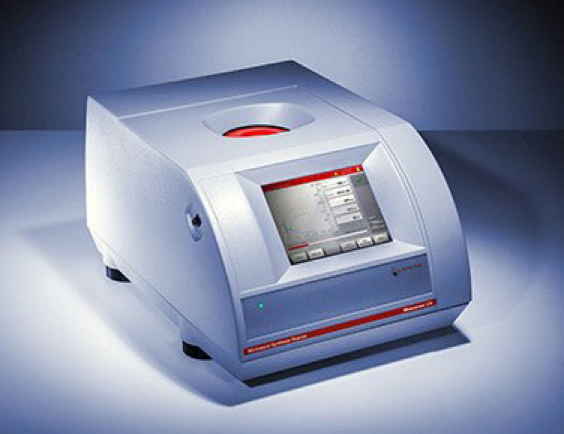 A spectrofluorometer used to obtain fluorescence excitation and emission spectra to quantify characteristics of a fluorophore-containing solution. Spectral Range: 200 to 900 nm. 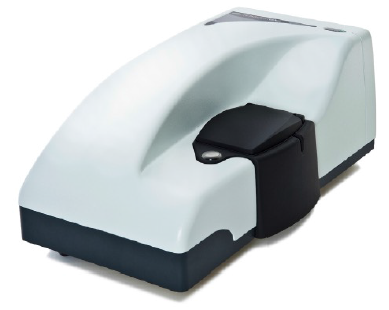 The FluoroMax is a compact spectrofluorometer which offers a great sensitivity in fluorescence investigations as well as features not found in most table-top fluorescence detection systems. Monowave 400 – Anton Paar est un réacteur micro-ondes hautes performances spécialement conçu pour les applications de synthèse micro-ondes à petite échelle dans les laboratoires de recherche et de développement. De nos jours, le rayonnement micro-ondes n’est pas seulement utilisé avec succès pour l’analyse organique – la synthèse inorganique, la science des matériaux, la chimie des polymères ainsi que d’autres disciplines peuvent également être réalisées avec succès. 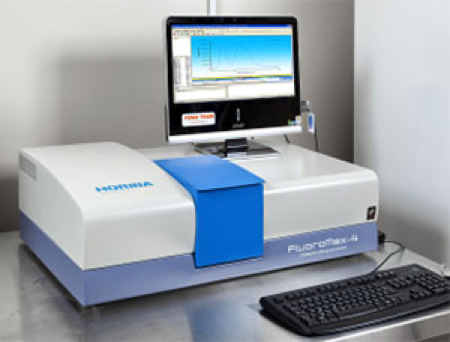 The S2 PICOFOX is the world’s first portable benchtop spectrometer for fast quantitative and semi-quantitative multielement microanalysis of liquids, suspensions, solids and contaminations using the principle of total reflection X-ray fluorescence spectroscopy. 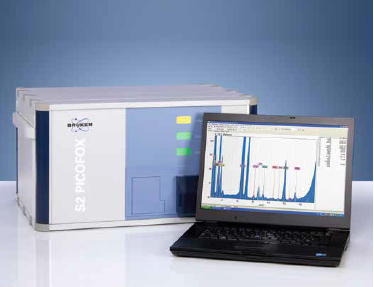 Reaching detection limits in the ppb and ppm range the S2 PICOFOX is optimally suited for trace element analysis. In development and research studies, select promising molecules that could be novel targets for research use, diagnostics, or therapy. Le BioSpec-nano est un spectrophotomètre approprié pour effectuer des contrôles de concentration d’ADN et d’ARN dans des échantillons d’acide nucléique. La quantification de l’ADN et de l’ARN peut être simplement et rapidement réalisée avec de très petits échantillons à partir du microlitre. La vitesse d’analyse est améliorée grâce à des fonctions dédiées, comme le montage automatisé de l’échantillon, et logiciel d’exploitation facile à utiliser. Expériences de quantification relative par la méthode des courbes standard et de comparaison des valeurs de CT.